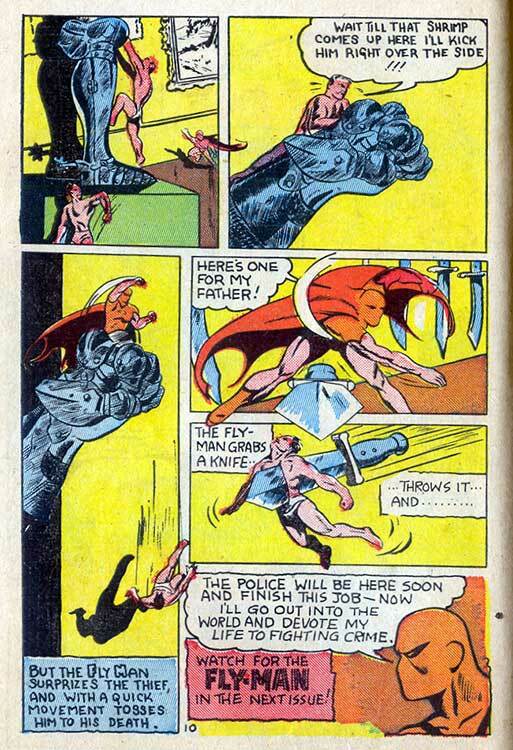 ...we're presenting what could be considered his direct ancestor in comics. 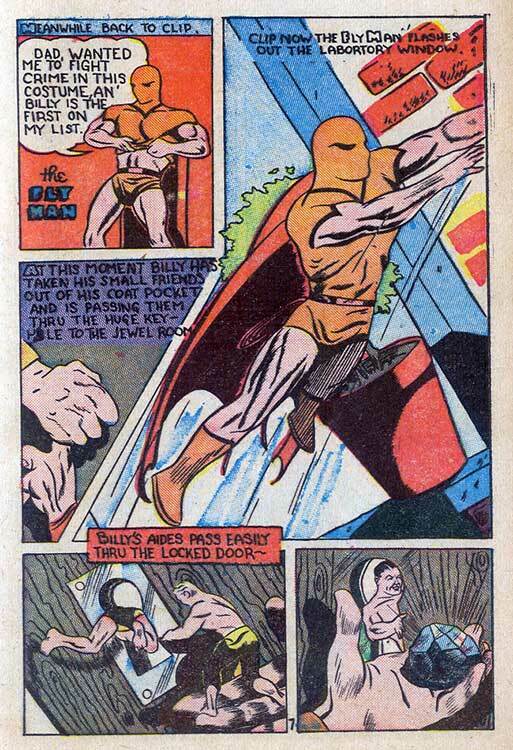 Though he shares a number of attributes with the movie version of Ant-Man, including reduced height, retaining his full-sized strength while small, receiving his powers from a scientist, and criminal connections, Fly-Man couldn't control or communicate with insects. 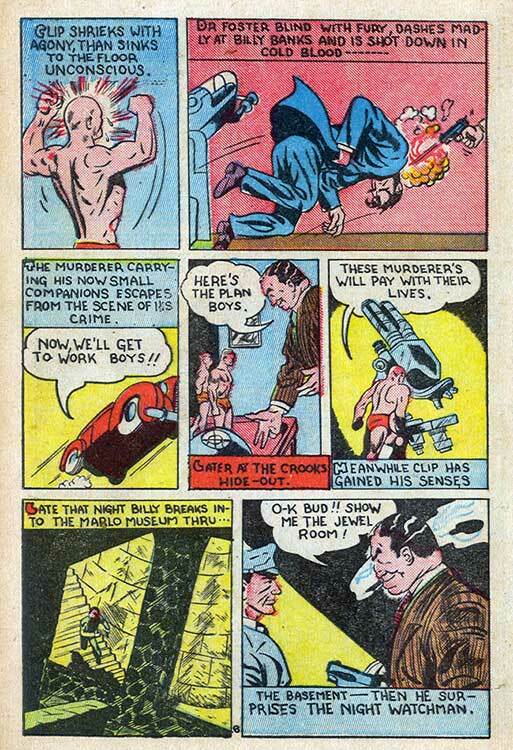 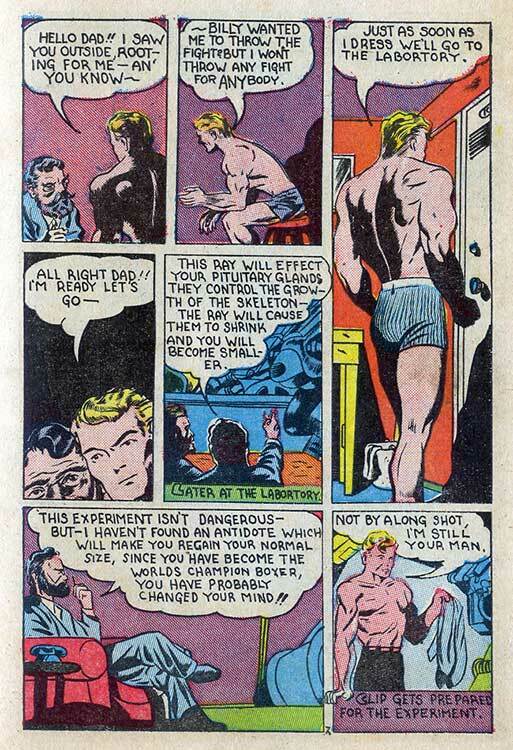 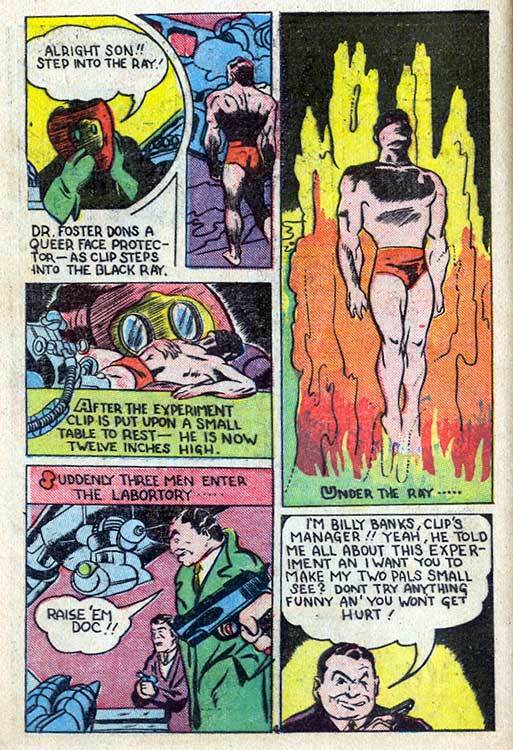 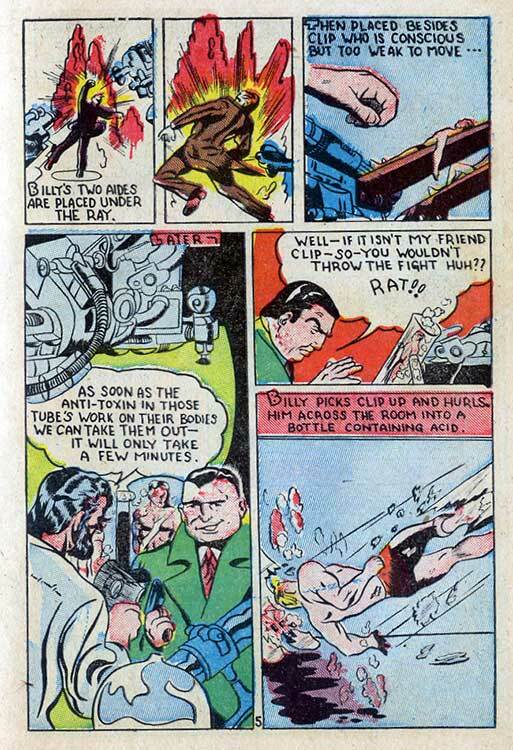 Illustrated by Sam Glanzman, this never-reprinted tale from Harvey Comics' Spitfire Comics #1 (1941) was the first of two appearances by the Diminutive Daredevil. 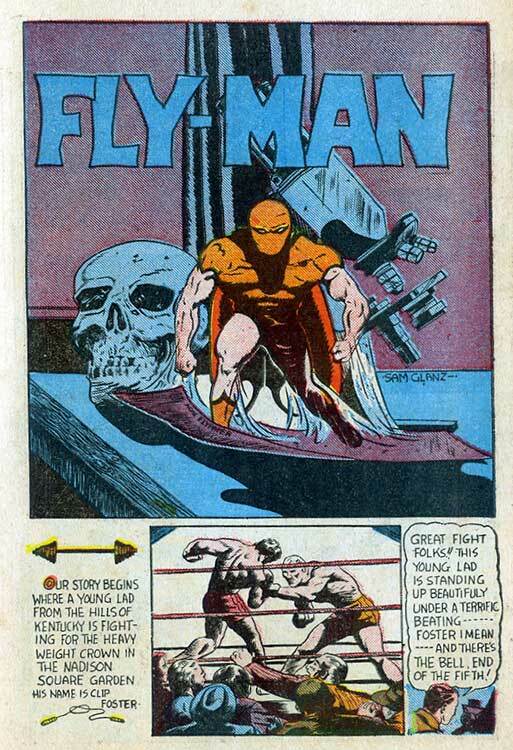 In the next (and final) issue of the title, Fly-Man took both the cover and the lead section of the book from the comic's namesake character, Spitfire! 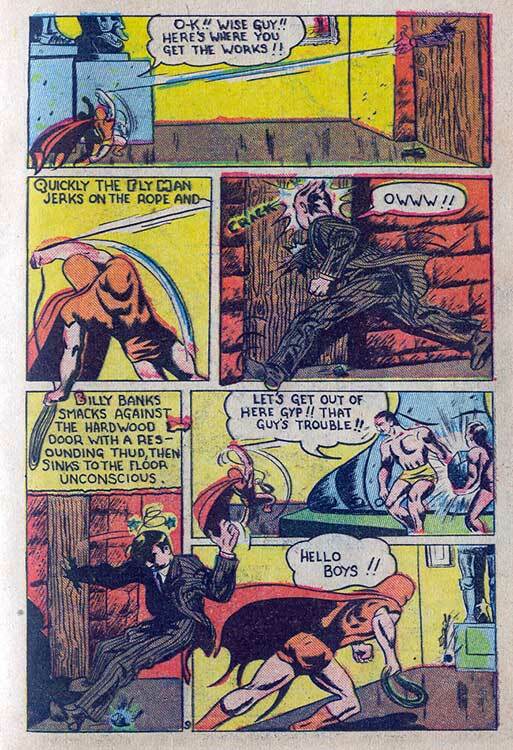 It didn't help since neither character ever reappeared...anywhere! 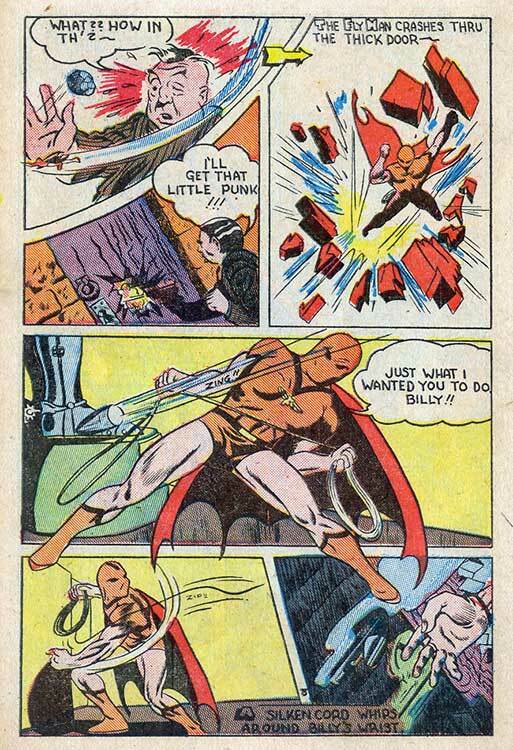 But, the "Fly-Man" name would reappear almost 20 years later...on a new character with interesting links to Ant-Man. 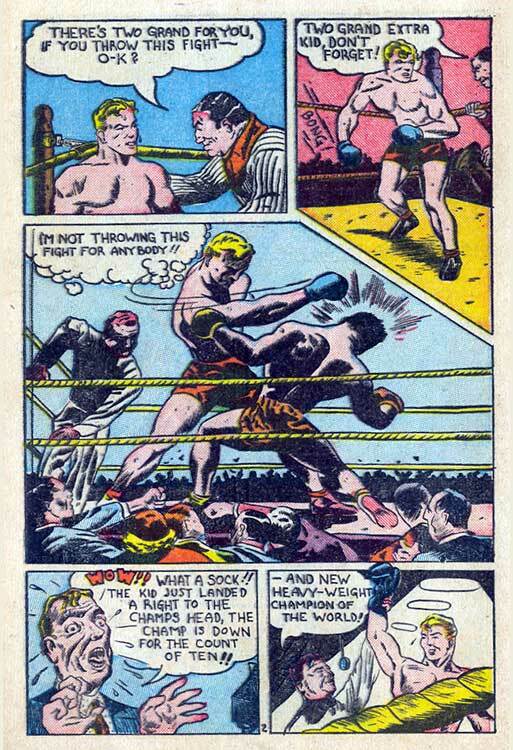 You'd learn about that on Monday!